On September 20th, 2018, one of the leading researchers and an icon for regulation of Artificial Intelligence (AI), professor Toby Walsh (UNSW Sydney), has in one-hour long public debate shared the insights on how AI has been improving our lives, and why the society needs to be economically, culturally, politically, and legally prepared for the AI of tomorrow. 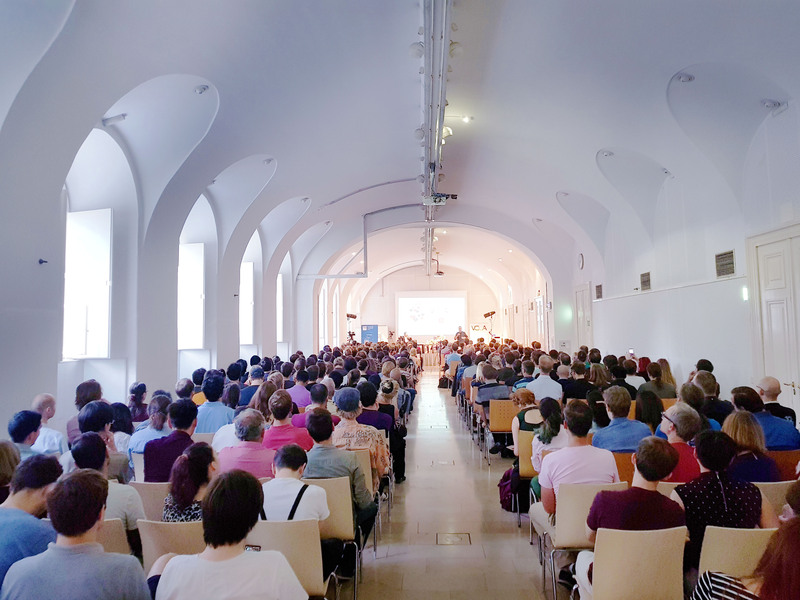 This event is part of the LogicLounge series of public discussions, organized by Vienna Center for Logic and Algorithms at TU Wien. The discussion with Toby Walsh was moderated by Franz Zeller (ORF). Toby Walsh has been called a “rock star of AI”, due to his regular appearances in the international media, and is an advocate for regulation in AI to ensure that automated decision making by machines is actually improving, not hurting our lives. Professor Walsh is not only known as the initiator of the worldwide movement for the UN-ban of autonomous lethal weapons (“Killer Robots”), but is also the author of numerous books presenting the general public the myths, chances, and risks in the field of artificial intelligence techniques and technology. Among the registered participants, who also attended the LogicLounge, Toby Walsh and Körber publishing house have given away a couple of signed copies of Toby Walsh´s book “It´s Alive: Wie künstliche Intelligenz unser Leben verändern wird”. The book, which was published in 2017, has been translated into German language and is on sale in Austria, from September 24th onwards. Full photo gallery on Flickr here. The LogicLounge with Toby Wash was recorded. The video will be made available on Videolectures.org video depository and on VCLA YouTube channel. Achtung, Sie sprechen mit einem Bot! 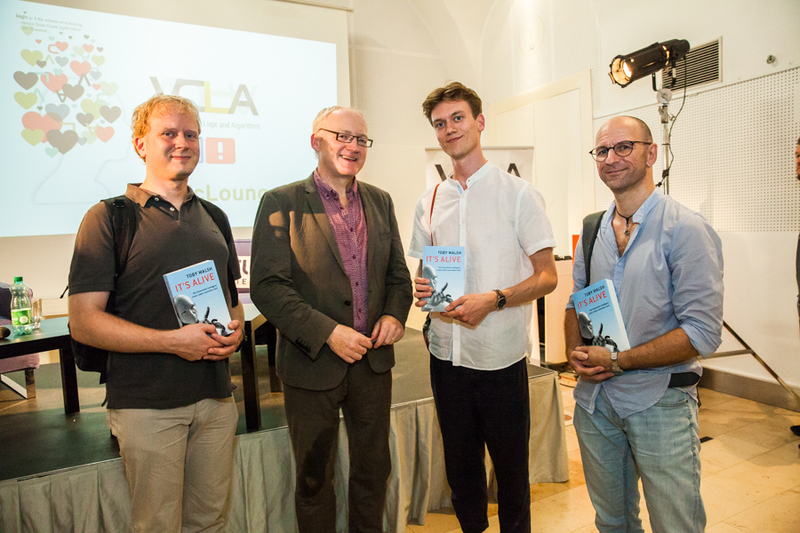 Between the LogicLounges in Oxford (July 2018) and New York (July 2019), Prof. Thomas Eiter and Prof. Stefan Szeider have brought Prof. Toby Walsh to the LogicLounge in Vienna. 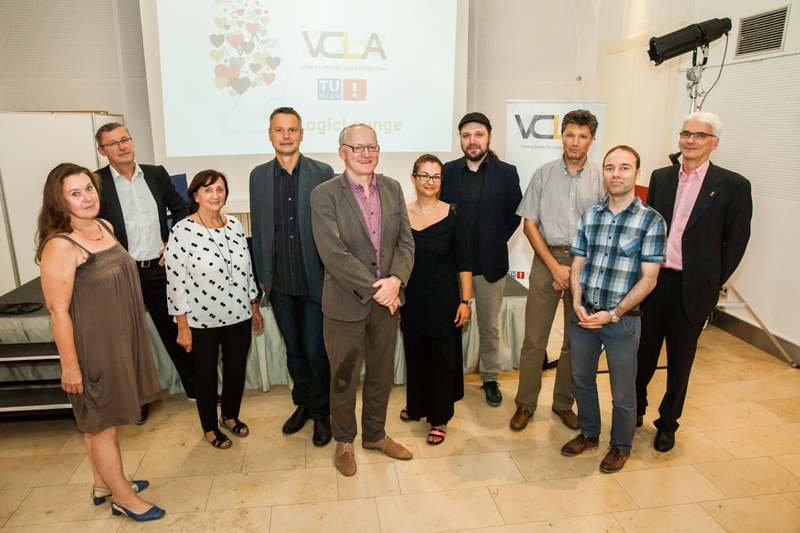 The VCLA activities are funded through public means. Video footage and/or photos will be taken during VCLA activities, which may or may not include your recognizable image. VCLA has provided a No Photo/Video zone for the ones who do not wish to have their recognizable photo taken.